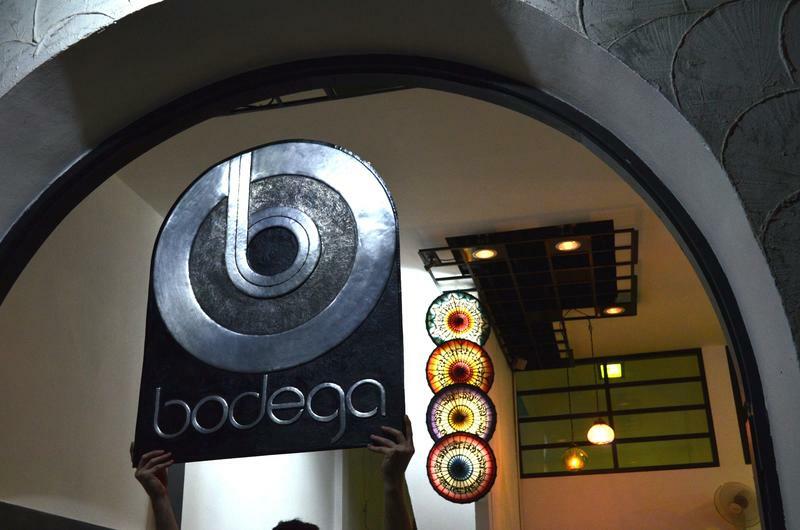 Bodega Bangkok is perfect for travelers that want to experience the real Bangkok, while enjoying all of the comfort and conveniences of a modern backpackers haven. In Bodega tradition, we’re a relaxed & funky hostel, music cafe/gallery located in the heart of the action - a 5 min walk to famous Soi Cowboy & 10 minutes to Soi 11, the epicenter of nightlife madness! We're near to all public transportation to get you all over the city easily, yet we’re nestled in a peaceful private street ensuring a good nights rest. We offer 14 & 6 bed mixed & 10 bed female dorms fitted w/ full single mattresses, duvets, A/C, fan, security lockers, large modern bathrooms, individual reading lights/power/shelves, and free WiFi access. 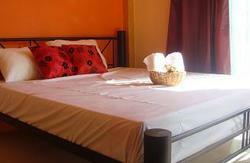 All linen & towels are supplied. We pride ourselves on top quality sleep! Our cafe/gallery showcases local aspiring artists & musicians, serves local coffee, fresh fruit smoothies, and Thai & international food. We organize parties to bring together local artists & musicians as well as salsa nights on our private street. We can also help you decide what to see & do! All trips can be booked at our travel desk. 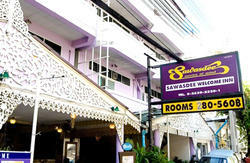 There is a lot of useful information on wikitravel’s Bangkok page under the “getting into Bangkok” section. You can find bus numbers, routes, schedules, taxi tips & useful information about arrivals at Bangkok airports, train and bus stations. Option 1 – Taxi. The cost should be approximately 300-350 baht and 30min-1hr depending on traffic (150 baht in tolls, 150-200 baht meter). Please print these directions for the taxi driver at the airport. Ask the driver to call Mo (mobile 089-979-9827 – please daytime only) or our 24-hour reception (02-117-1012) if they have any problems finding us. See you soon! Option 2 – Bus & BTS (skytrain). Take bus A1 (30 baht) to Mo Chit BTS station and catch the BTS (in the direction of Bearing) 11 stops to Asok BTS (42 baht). Option 1 – Taxi. The cost should be approximately 350 baht (100 baht in tolls, 250 baht meter). Option 2 – Airport Link train & MRT (subway). Take the airport link train from BKK to Makassan (45 baht) and catch the MRT from Phetchaburi station (in the direction of Hua Lamphong Railway Station) 1 stop to Asok/Sukhumvit MRT station (15 baht). Take the MRT 4 stops (in the direction of Bang Sue) to Asok/Sukhumvit MRT station (35 baht). See “Walking from Asok/Sukhumvit MRT” above. Take the MRT 11 stops (in the direction of Hua Lamphong Railway Station) to Asok/Sukhumvit MRT station (60 baht). Take the BTS (in the direction of Bearing) 11 stops to Asok BTS (60 baht). See “Walking from Asok BTS” above.